Have you ever wondered what it would be like to be a wolf? What would you do in the cold winter months? Where would you sleep? What would you eat? Spend a year in the world of wolves in One Wolf Howls. 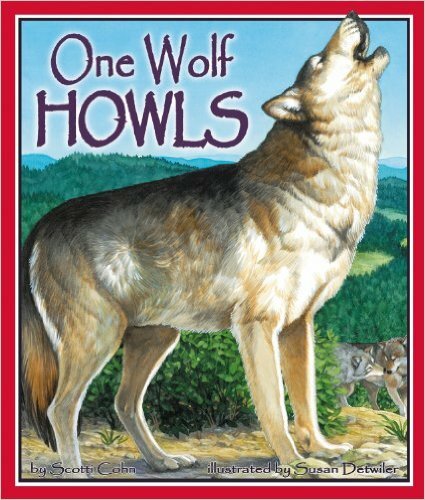 This adventurous children s book uses the months of the year and the numbers 1 through 12 to introduce children to the behavior of wolves in natural settings. The lively, realistic illustrations of Susan Detwiler complement the rhyming text and bring each month to life. From January to December, howl, frolic, and dance, while learning important lessons page-by-page! The For Creative Minds learning section includes a Wolf Communications Matching and Wolf Calendar activity.